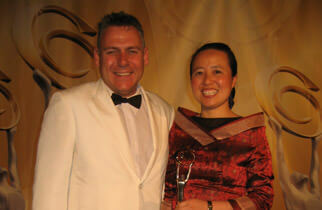 Over 10 years Importing From China as an Award Winning Importing Consultant. Lindy Chen is the founder and Managing Director of ChinaDirect Sourcing Services, a company which she established in 2005. ChinaDirect seeks to assist Australian companies in seeing China not as a threat, but as their competitive advantage. In its few short years of existence, ChinaDirect has experienced exponential growth, guided by its driving mission to make clients prosperous and globally competitive. Lindy's contribution to the success of ChinaDirect has come from first developing a unique business model, then systemising the business. Due to her willingness to take risks and do things differently, Lindy has been able to overcome many obstacles to success. Not surprisingly, given its founder's approach to life and the world, ChinaDirect operates differently from the average sourcing company. Lindy has an impressive track record in both China and Australia. She was born in China and came to live in Australia in 2002. 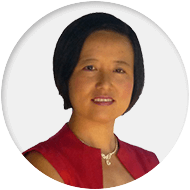 Before she settled in Australia, she held senior management roles in both Chinese and Australian companies. Lindy's career in Australia was not all smooth, however. When she first arrived in Australia, she could not immediately find a job. To make use of her talents and energies in her new home while she searched for work, Lindy took on a variety of volunteer roles. Her activities included raising awareness of China by organising community events for her local council, promoting the use of public transport, and running events showcasing the talents of multicultural youth. Lindy and Chinese Consul General Hon.